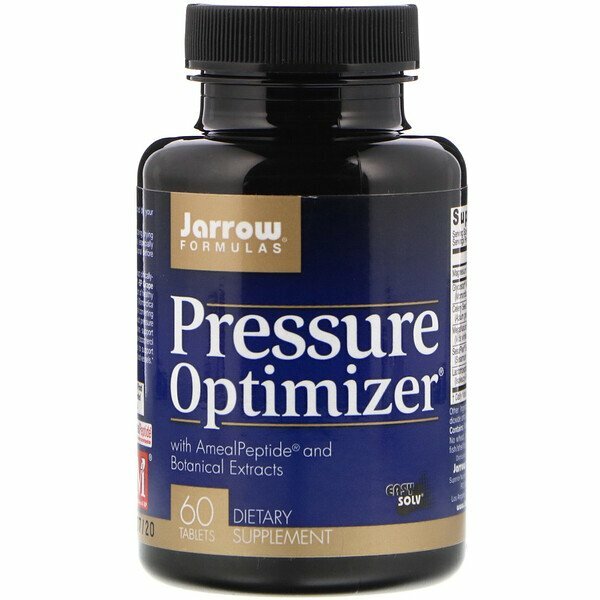 Pressure Optimizer contains AmealPeptide, a patented extract clinically-tested for healthy blood pressure support. 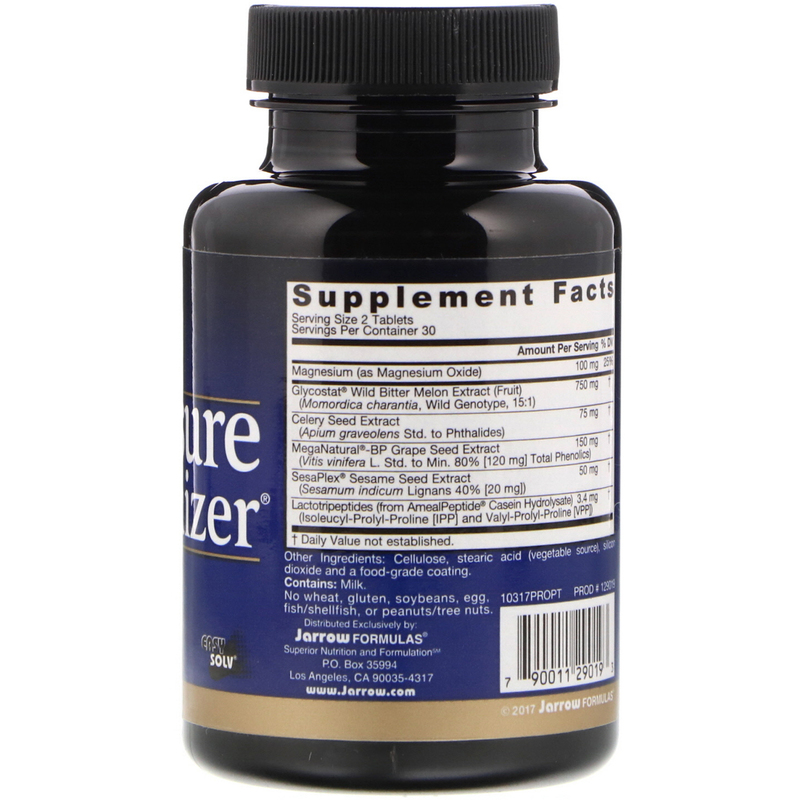 MegaNatural-BP Grape Seed Extract is patented and clinically-tested for the support of healthy arterial function. Glycosat Wild Bitter Melon Extract (Momordica charantia) may influence the body's nitric oxide and angiotensin converting enzyme (ACE) systems, both of which are involved in blood pressure maintenance. Sesaplex Sesame Seed Extract lignans support antioxidant mechanisms, including the recycling of gamma-tocopherol and gamma-tocotrienol. Celery Seed traditionally is used to support kidney function. Magnesium promotes the relaxation of the blood vessels. Cellulose, stearic acid (vegetable source), silicon dioxide, and food grade coating. Note: If you have a medical condition, are pregnant, lactating, trying to conceive, or taking medications (especially for blood pressure control), consult a healthcare professional before using this product.